I’ve said this many times, over and over: Hong Kong Disneyland is one of my favourite theme parks. It has changed so much since it opened! Three new themed lands, and a new dark ride that has left the world in awe. And then the park recently announced the new Iron Man attraction. It’s time for dreams and imagination to soar. 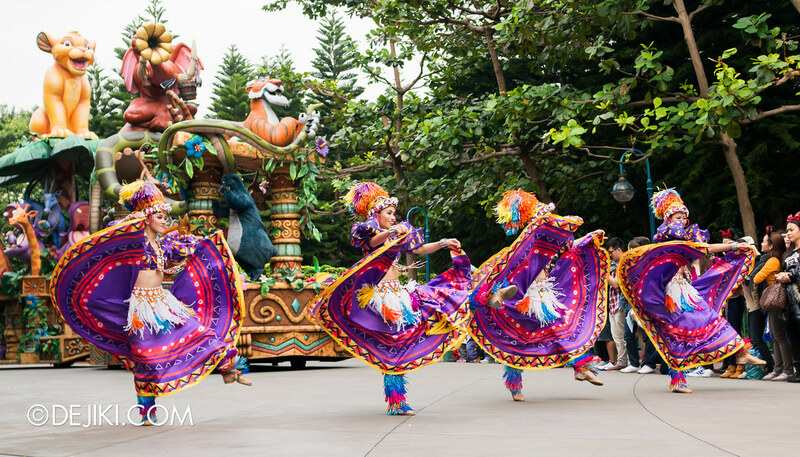 With astounding floats, colourful costumes and joyous sounds, Flights of Fantasy parade is an uplifting spectacle that is guaranteed to delight park guests at Hong Kong Disneyland. This is Hong Kong Disneyland’s current regular day-time parade, and was first unveiled as part of the park’s 5th Anniversary campaign – “Celebration in the Air”. 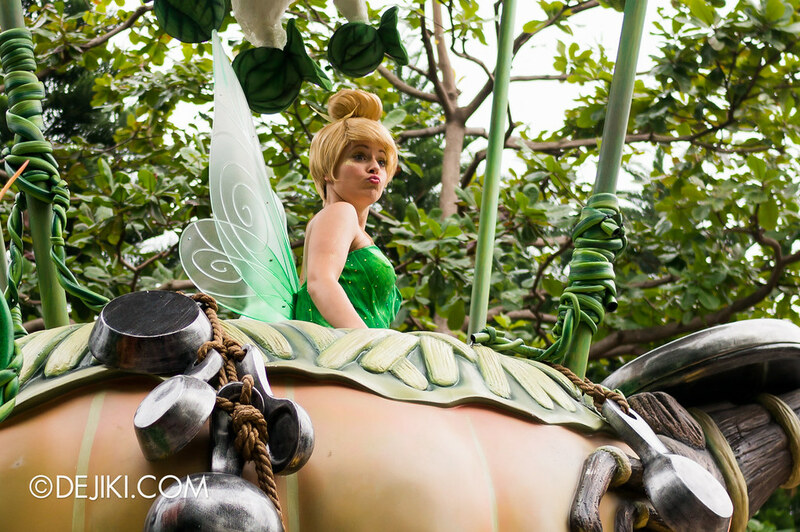 The parade combines classic and new Disney characters, with many segments relevant to the park’s attractions. The seven parade floats are: Mickey’s Magical Airship, Caught Up in Daydreams (The Many Adventures of Winnie the Pooh), Romance Takes Wing (Disney Princesses), Jumpin’ Jungle Jam, The Magic of Pixie Dust (Tinker Bell), Hangin’ Ten and Ridin’ High (Lilo & Stitch), To Infinity and Beyond (Toy Story). After the 5th Anniversary Celebration in the Air festivities, Flights of Fantasy continues to be performed daily at Hong Kong Disneyland. Elements referring to the 5th Anniversary (The number “5”) have been replaced with a “D” in Disney’s iconic typeface. Flights of Fantasy feature vibrant and impressive floats – there are of course, an abundance of balloons, and balloon-like characters top off most of the floats. The parade also begins with a flying Dumbo (what else, really?) which is quickly accompanied with Mickey’s Airship. Everything is visually impactful – quite punchy colours and interesting forms. 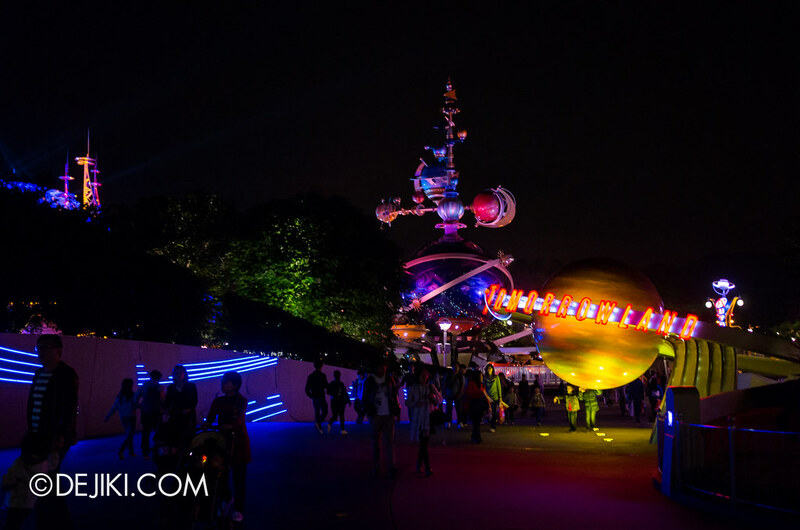 We’ve finally arrived at Tomorrowland, a space port of the future. Tomorrowland is a staple themed zone in all Magic Kingdom-style Disney parks around the world. It’s like Sci-Fi meets Fantasyland – a optimistic view of the future with a focus on space travel and exploration. Due to time constraints, I wasn’t able to spend a lot of time in Tomorrowland during this trip. I’ve decided to share mostly photos of this area at night, where smooth streaks of lights circle around this futuristic port. 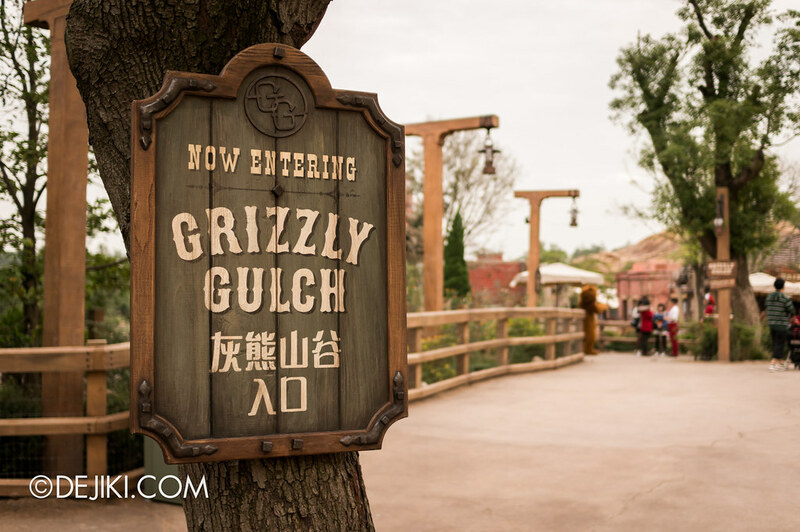 You’ve seen Grizzly Gulch in the previous update. Now let’s take a detailed tour around Big Grizzly Mountain Runaway Mine Cars, the feature attraction in this Old West town. 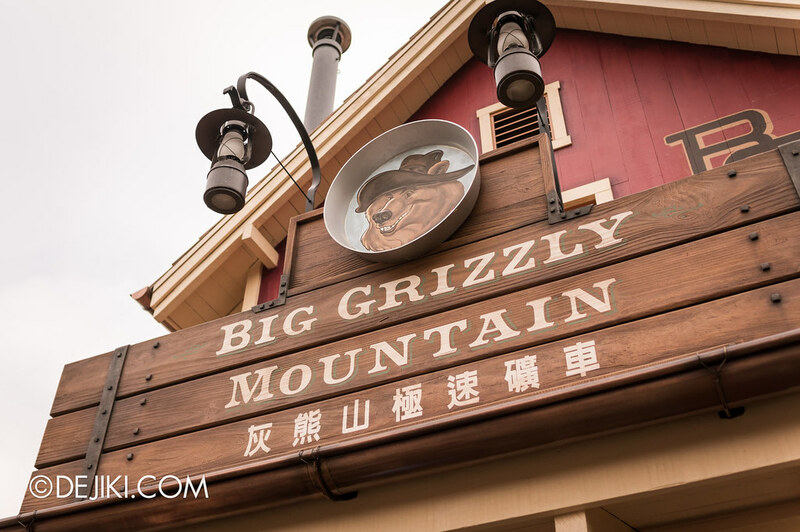 Founded on 8 August 1888 (the luckiest day of all time) by prospectors hoping to discover gold, Grizzly Gulch brings travelers to a bustling Wild West town filled with adventure and prosperity. 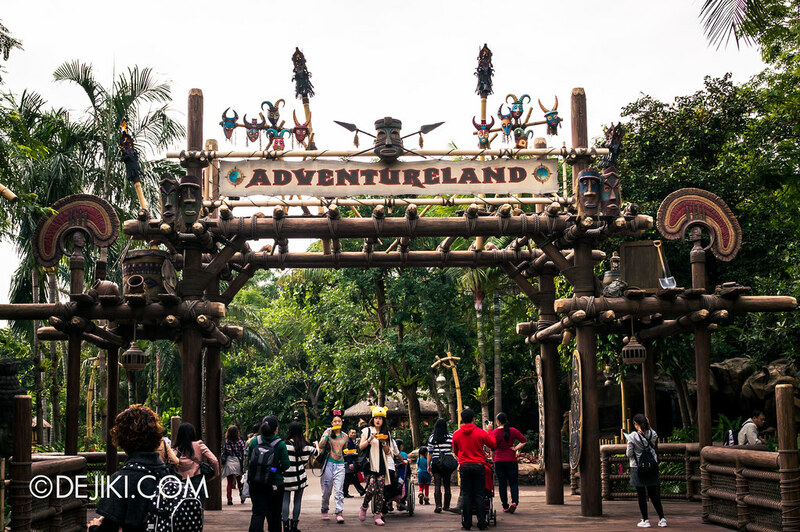 Our Photo tour continues into Adventureland. This once remote jungle is now filled with outposts and river cruises, bringing explorers and eager tourists. With the spirit of travel and discovery, this lushly landscaped zone offers park guests with three main attractions – set in the wild and exotic. According to Hong Kong Disneyland, this is Disney’s largest Adventureland. 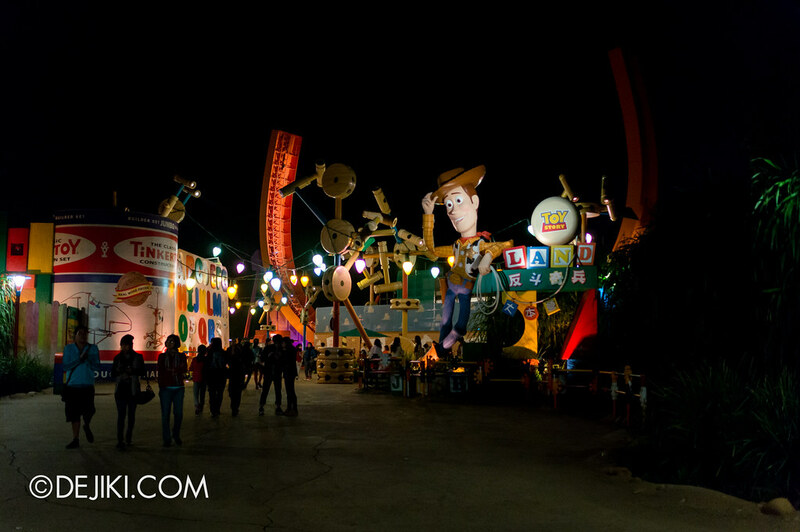 Let’s have a quick look of Toy Story Land at night! More photos of this area, taken in the day, can be found at the complete overview of Toy Story Land. It’s play time! Toy Story Land “shrinks” guests down and transports them to Andy’s backyard, where the lovable Toy Story characters are out to play. Based on the successful Disney-Pixar franchise, this themed land uses oversized versions of real world toys. 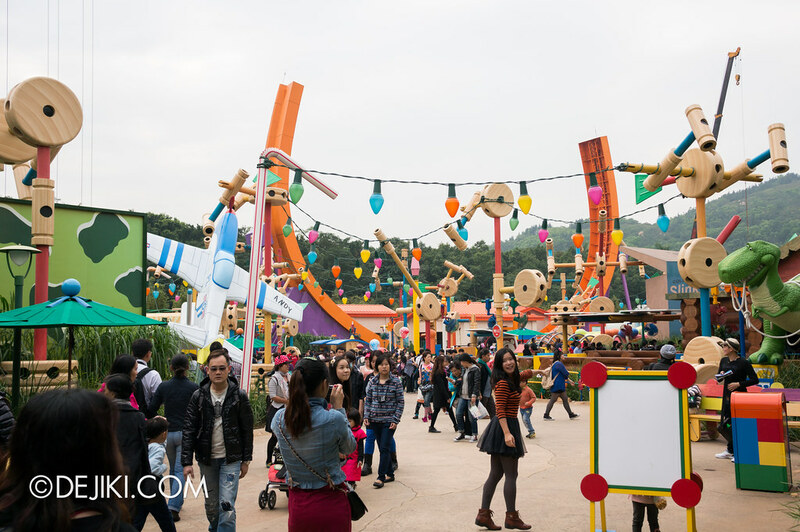 Toy Story Land opened in 2011, and was the first of three new themed zones for the major expansion project at Hong Kong Disneyland. I feel that Toy Story Land is a great addition to Hong Kong Disneyland. It’s a simple playland with rides designed for children, but yet enjoyable for all ages. Theming is attractive and impressive. The area music is well chosen and re-arranged from Randy Newman’s memorable score. I expected this area to be boring with nothing much to see or do and I was very pleasantly surprised and proven wrong. It is amazing how Disney could combine some simple rides with an imaginative franchise – and turn it into a charming experience. For the older crowd, stepping into Toy Story Land could be nostalgic. There are many classic toys to be spotted here, which are bound to trigger some childhood memories. 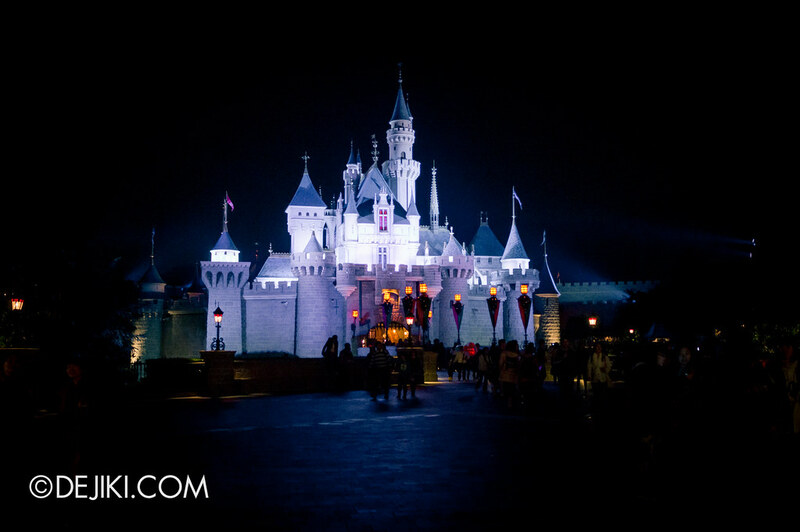 Hong Kong Disneyland is still one of my favourite theme parks. It’s not as large as Tokyo Disneyland, but still has Disney’s magical atmosphere. There’s an abundance of great theming, suitable area music and a lot of things for guests to see and do. 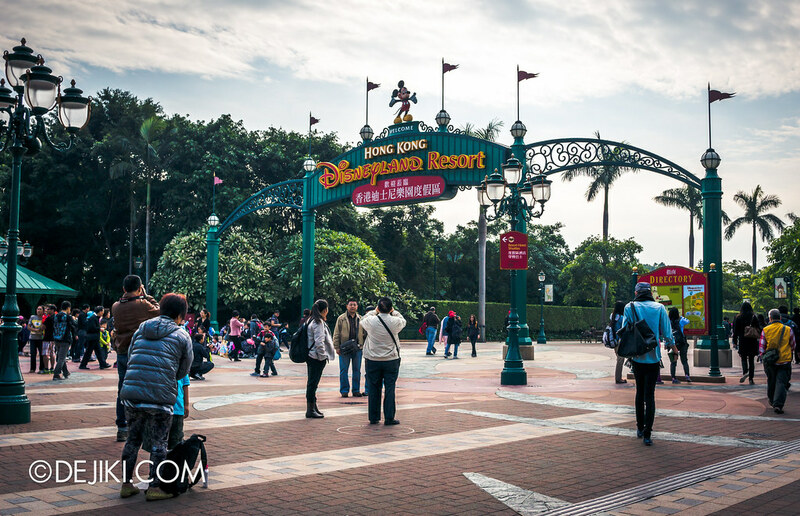 With the crazy amount of photos I took at Hong Kong Disneyland, I will write a series of features called Hong Kong Disneyland – 2012 Photo Tour. 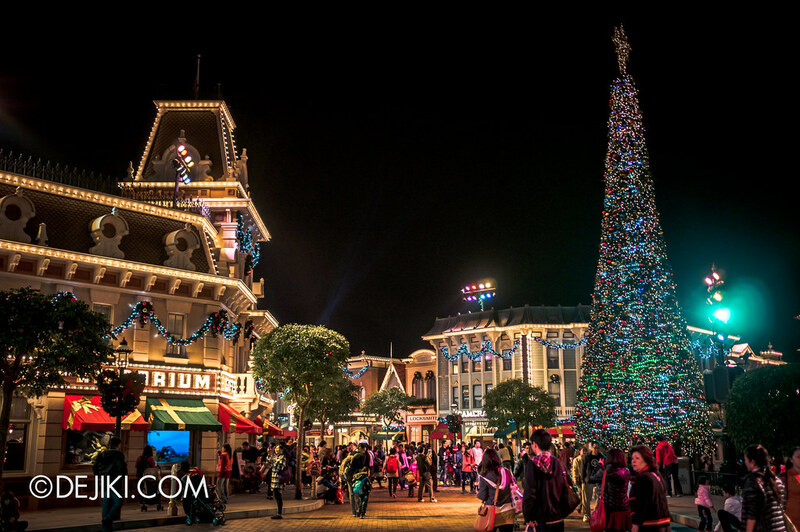 Each themed area will have its own entry, so you won’t need to sift through hundreds of photos in one post. For the first (or actually second, if you count the Mystic Point post), we’ll get to Main Street, U.S.A.